First Gene Therapy For An Inherited Disorder Gets Expert Endorsement : Shots - Health News After many setbacks for genetic therapies, advisers to the Food and Drug Administration recommended approval of the first gene treatment for an inherited form of blindness. A panel of experts has recommended that the Food and Drug Administration approve a treatment developed by Spark Therapeutics for a rare form of blindness. Gene therapy, which has had a roller-coaster history of high hopes and devastating disappointments, took an important step forward Thursday. A Food and Drug Administration advisory committee endorsed the first gene therapy for an inherited disorder — a rare condition that causes a progressive form of blindness that usually starts in childhood. The recommendation came in a unanimous 16-0 vote after a daylong hearing that included emotional testimonials by doctors, parents of children blinded by the disease and from children and young adults helped by the treatment. "Before surgery, my vision was dark. It was like sunglasses over my eyes while looking through a little tunnel," 18-year-old Misty Lovelace of Kentucky told the committee. "I can honestly say my biggest dream came true when I got my sight. I would never give it up for anything. It was truly a miracle." Several young people described being able to ride bicycles, play baseball, see their parents' faces, read, write and venture out of their homes alone at night for the first time. "I've been able to see things that I've never seen before, like stars, fireworks, and even the moon," Christian Guardino, 17, of Long Island, N.Y., told the committee. "I will forever be grateful for receiving gene therapy." The FDA isn't obligated to follow the recommendations of its advisory committees, but it usually does. If the treatment is approved, one concern is cost. Some analysts have speculated it could cost hundreds of thousands of dollars to treat each eye, meaning the cost for each patient could approach $1 million. 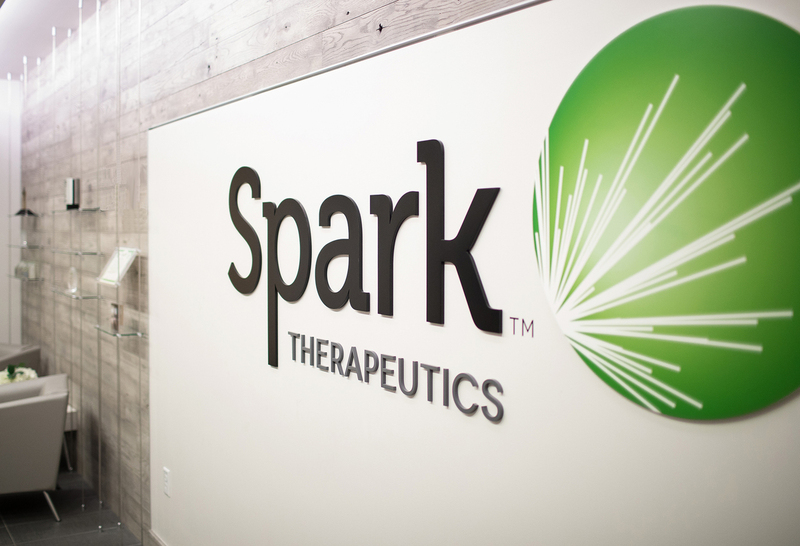 Spark Therapeutics of Philadelphia, which developed the treatment, hasn't said how much the company would charge. But the company has said it would help patients get access to the treatment. Despite the likely steep price tag, the panel's endorsement was welcomed by scientists working in the field. "It's one of the most exciting things for our field in recent memory," says Paul Yang, an assistant professor of ophthalmology at the Oregon Health and Science University who wasn't involved in developing or testing the treatment. "This would be the first approved treatment of any sort for this condition and the first approved gene therapy treatment for the eye, in general," Yang says. "So, on multiple fronts, it's a first and ushers in a new era of gene therapy." Ever since scientists began to unravel the genetic causes of diseases, doctors have dreamed of treating them by fixing defective genes or giving patients new, healthy genes. But those hopes dimmed when early attempts failed and sometimes even resulted in the deaths of volunteers in early studies. But the field may have finally reached a turning point. The FDA recently approved the first so-called gene therapy product, which uses genetically modified cells from the immune system to treat a form of leukemia. And last week, scientists reported using gene therapy to successfully treat patients suffering from cerebral adrenoleukodystrophy, or ALD, a rare, fatal brain disease portrayed in the film Lorenzo's Oil. Researchers are also testing gene therapy for other causes of blindness and blood disorders such as sickle cell disease. The gene therapy endorsed by the committee Thursday was developed for RPE65-mutation associated retinal dystrophy, which is caused by a defective gene that damages cells in the retina. About 6,000 people have the disease worldwide, including 1,000 to 2,000 people in the United States. The treatment, which is called voretigene neparvovec, involves a genetically modified version of a harmless virus. The virus is modified to carry a healthy version of the gene into the retina. Doctors inject billions of modified viruses into both of a patient's eyes. In a study involving 29 patients, ages 4 to 44, the treatment appeared to be safe and effective. More than 90 percent of the treated patients showed at least some improvement in their vision when tested in a specially designed obstacle course. The improvement often began within days of the treatment. "Many went from being legally blind to not being legally blind," said Albert Maguire, a professor of ophthalmology who led the study at the University of Pennsylvania, in an interview before the hearing. The improvement varied from patient to patient, and none of the patients regained normal vision. But some had a significant increase in their ability to see, especially at night or in dim light, which is a major problem for patients with this condition. "What I saw in the clinic was remarkable," Maguire told the committee. "Most patients became sure of themselves and pushed aside their guides. Rarely did I see a cane after treatment." That was the case of Allison Corona, who's now 25 and lives in Glen Head, N.Y. She underwent the treatment five years ago as part of the study. "My light perception has improved tremendously," Corona said during an interview before the hearing. "It's been life-changing. I am able to see so much better. I am so much more independent than what I was. It is so much better." The patients have been followed for more than three years, and the effects appear to be lasting. "We have yet to see deterioration," Maguire says. "So far the improvement is sustained." The injections themselves did cause complications in a few patients, such as a serious infection that resulted in permanent damage, and a dangerous increase in pressure in the eye. But there were no adverse reactions or any signs of problems associated with the gene therapy itself, the researchers reported. While this disease is rare, the same approach could work for similar forms of genetic eye disease, Maguire says. "There are a lot of retinal diseases like this, and if you added them together it's a big thing because they are all incurable." If approved, the treatment would be marketed under the name Luxturna.